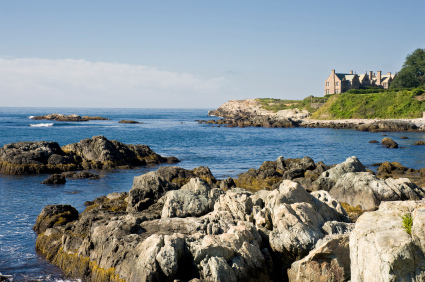 The charming seaside town of Newport, Rhode Island has long been a New England summer escape for many years; however there is much to do year round. Visitors come for the sailing, to tour the Newport Mansions and to relax in their favorite Newport bed and breakfast. Here are BBOnline's picks for places to see while you are in town! 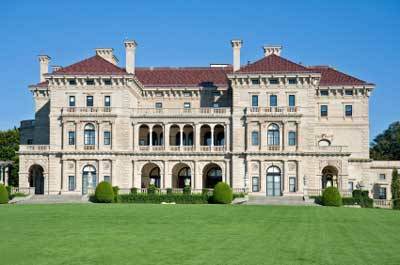 The Breakers is one of the many extravagant mansions of Newport. Originally the summer cottage for the Vanderbilt family, The Breakers is now open to the public and available to tour. Built in 1893, the "summer cottage" boasts more than 70 rooms and is 65,000 sq ft. The main floors include separate Ladies' and Gentlemen's Reception Rooms, a Great Hall and Library, while the second floor includes sleeping rooms and the third floor contains servants quarters. The Breakers is open to the public daily from 9am to 5pm. There may be extended operating hours for special and seasonal events. General admission is $24.50 for adults and $6.50 for children ages 6 to 17; children 5 and under free. The Preservation Society of Newport County offers tour packages of all the mansions in Newport area including The Breakers, Marble House and The Elms. 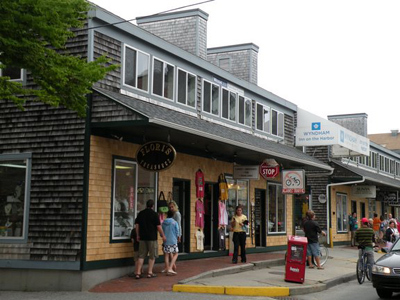 One and a half miles from Farewell and Poplar to Morton and Carroll is the historic shopping district on Thames Street and it is the place to be for entertainment, dining and finding that one of a kind item to remind you of your visit to Newport, Rhode Island. Spend the day exploring the museums and specialty shops, or you could take a boat ride from one of the charter services in the marina. After dark, Thames Street is an excellent choice for dinner and drinks. On the edge of Rose Island, stands the lighthouse that was built in 1869 and served as a warning for more than a century. Today, the Rose Island Lighthouse still serves as a navigation warning having been fully restored during the 1990s. 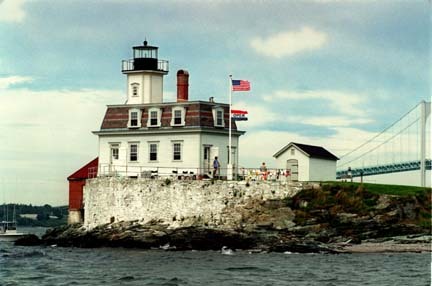 Regular tour season for the Rose Island Lighthouse is from July 1 through Labor Day; however it is possible to visit the lighthouse during the other months by calling ahead of time and making a reservation. Tour admission: adults $5; $4 children ages 6 to 12; children 5 and under free. Historic Ocean Drive is a ten mile stretch that begins at the Newport Mansion the Elms and continues to Brenton State Park and circles around to return to downtown Newport. Along the way, you will drive past a few more exquisite estates such as The Breakers, Althrope, Marble House, Rough Point and Rosecliff to name a few. There are plenty of opportunities to stop along the way for panoramic views and photo opportunities. Brenton State Park is the perfect place to stop for a picnic and catch a glimpse of a yacht sailing by. Feel free to launch a kite and sit back and enjoy the day before continuing along the drive.